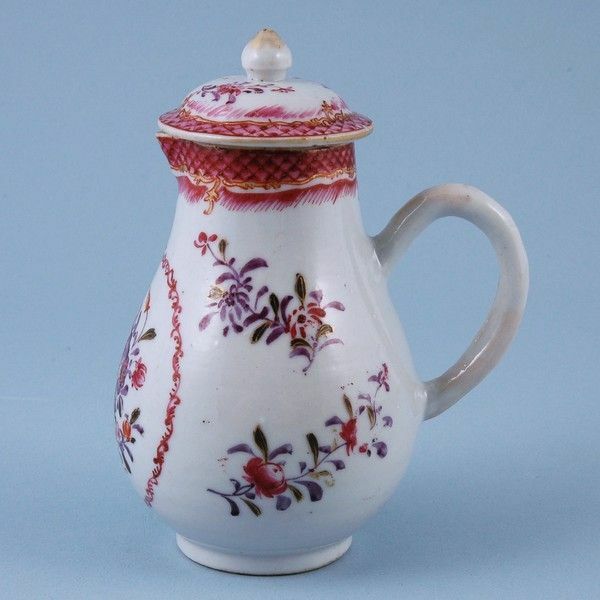 Chinese Export Porcelain Water Jug & Cover. 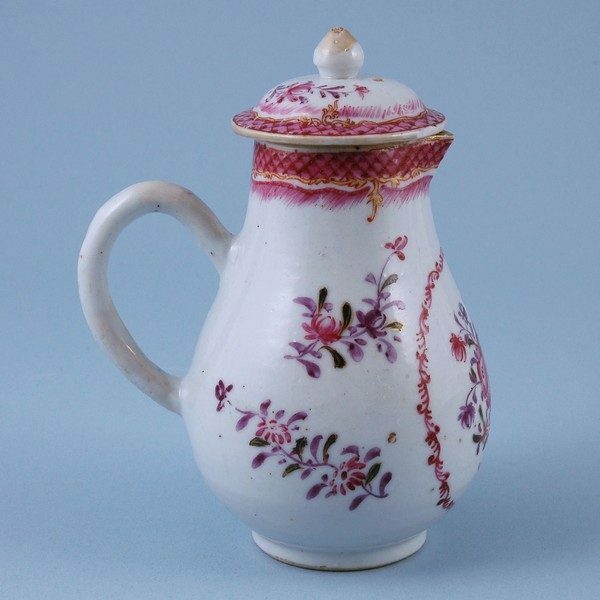 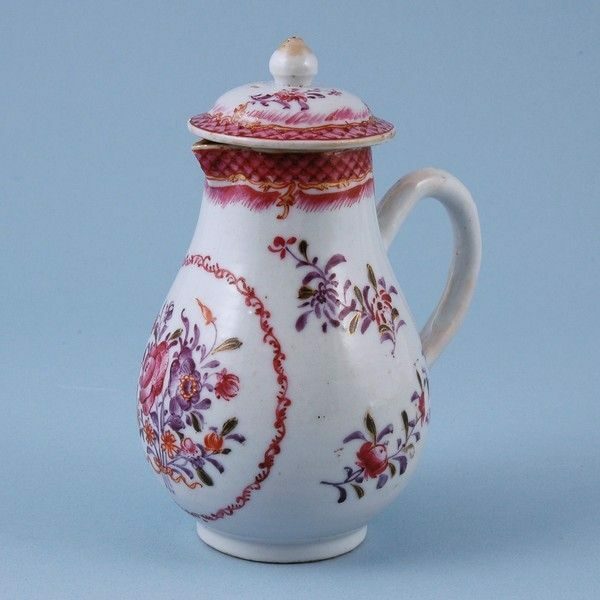 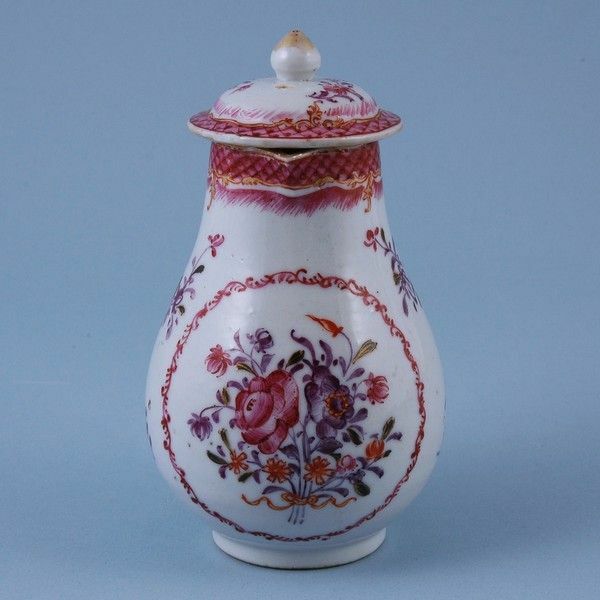 18th century Chinese export porcelain hot water jug & cover, decorated with stylized flowers and a pink scale border. Condition: Good. 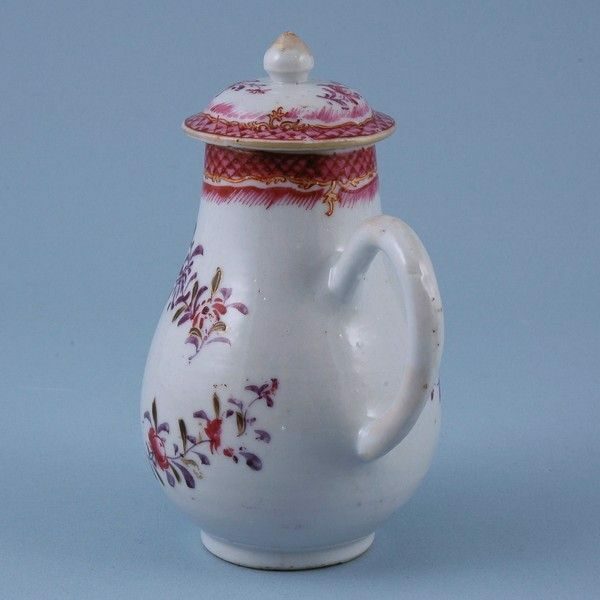 Minor fritting to knop and handle.